You’ve done it again anime….you’ve done it again. As things are winding down to the finale, our party is put into a fiercely intense battle with the last Septentrione, Benetnasch. Unfortunately for the crew, ace summoner Hibiki is still out of commission thanks to the previous Septentrione battle. Another event to dampen the mood for our heroes is the fact that they all received dead-face clips prior to the battle. Upon facing the turnip-shaped boss, everyone realizes that the thing is OP as hell. Meanwhile, Hibiki continues to sleep and dreams about his past interactions with his parents and Daichi. These scenes took up quite a bit of time and emphasized how important Daichi was to Hibiki as a childhood friend, which was a good thing, as it helped me feel that Daichi wasn’t as useless as a character. 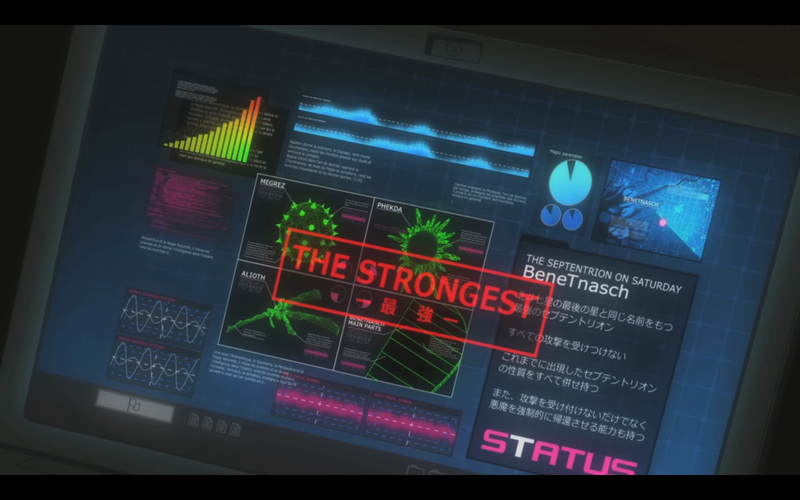 Anywho, the battle rages on and Benetnasch uses a cheap ability to temporarily remove all of the demons on the field. Fumi manages to disrupt the ability with her Trumpeter demon, but is spotted by the Septentrione and is subsequently annihilated. The rest of the party then dies one-by-one thanks to a ton of exploding ice cream cones. Man, that’s a true friend. 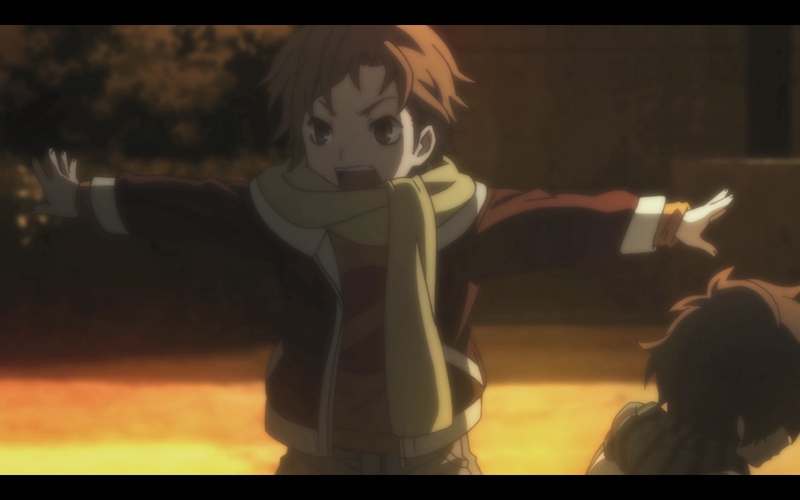 Before Daichi and Io face their demise, Hibiki and his demons manage to protect them. 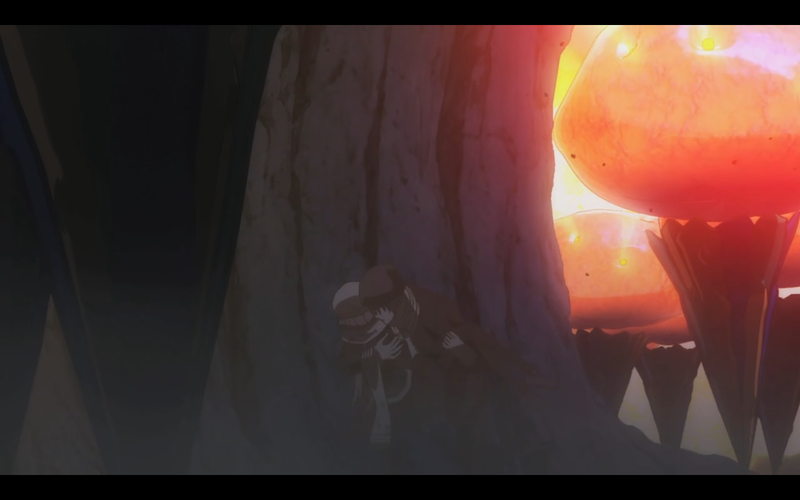 After Hibiki’s demons fall to the turnip boss, he and Hotsuin use their magical powers to hold off a powerful attack. 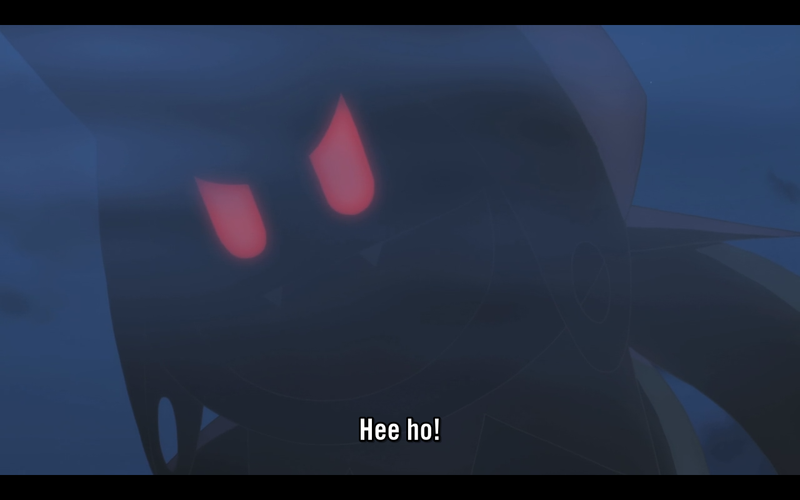 While things seem grim, Daichi freaks out and manages to summon Black Frost….but calls it Jack Frost. In this anime, Frost appears to be a truly powerful demon, which I feel is very fitting (he’s one of my favorite demons in the SMT series XD). Thankfully, Daichi finally has his epic moment of power with Black Frost and helps in finishing off the Septentrione. The remaining party members begin to grieve as their victory came at the cost of so many others. Hibiki loses it and challenges Hotsuin, who retaliates with death threats before being stopped by Alcor. I’m glad Daichi got such an awesome demon. Definitely a fan of the decision to build up Daichi a bit. His uselessness up till now was one of my biggest beefs with the show up till now.